From Start to Finish: What Goes Into Creating a Blog Post? It’s true—you should be creating and sharing value through blogging with your audience, and it’s also true that it’s a time-consuming investment. Below, I’ve included all that typically goes into a single blog post. I hope that this step-by-step list will provide you with insight into creating your own blogging plan! 1. Create a content schedule and strategy. What should you write about on your blog? What type of content makes sense at this time of year? When will you write and publish each blog post? It will be important to establish how often you’ll post on your blog, what types of topics you should include to create a cohesive strategy, and how it’s all going to get done. Unless you happen to know everything about the topic you’re writing about, you’ll have to do some research. Whether it’s something as small as figuring out when a business is open or as large as interviewing a few people to get the information you need, it will require some amount of research. 3. Draft and outline your post. After you have a better understanding of a topic, you can create an outline of your blog post. How will the blog post be organized? After seeing all of your research, would this topic actually be better presented as two separate blog posts? Will it be a numbered listicle post, or is it better divided into a few sections with subheadings? 4. It's finally time to get writing! Brew yourself a cup of tea or pour yourself a glass of wine. It’s time to do some actual writing! If you’re feeling stuck, read some other blog posts to get your head in the right space. Once it’s finished, you might want to set your blog post aside for awhile. Maybe it’s an hour, maybe it’s a day. It always helps to return to edit with a fresh set of eyes. Click here for more tips on editing your own writing. 6. Figure out which photos to use. Now it’s time to upload your blog post to your website! For those who aren’t as familiar with blogging platforms, this can be one of the most challenging parts of blogging until you get the hang of it. Make sure your formatting is consistent, from font sizes to spaces. Upload any photos or other accompanying media, and make sure you have a featured image. 8. It's time to publish! After previewing your blog post and making sure it all looks right, it’s finally time to hit the “publish” button! Check it again once it’s published to make sure the title is correct, the formatting is showing up right, and the photos are working properly. And there you have it! As you can see, blogging is an investment of time, energy, and resources, but it’s just that: an investment. A blog post is an investment in your digital footprint that can serve you for years to come! Alyssa W. Christensen is the owner and managing editor of Home Scribe Creative. If you have any questions, she’s happy to chat! Get in touch with Alyssa here. Is it time to give your real estate newsletter a makeover? If it’s been a couple years since you’ve done something new, it might be time to spruce up your email marketing. And if you’re still sending out the same templated, copy/paste newsletters that all of the other agents in your brokerage are sending out, then you *definitely* need to give your email strategy a makeover! 1. Choose a format that you can rinse and repeat. While I don’t recommend using the same template as everyone else around you, choosing a template that YOU can use in each of your unique newsletters will make the whole process easier for you. It makes it easier for you to fill in content. If you have a few sections in your newsletter template that each have the same theme in every newsletter, filling in unique content is 10x less challenging. Your readers know what to expect. If you always include a section with a personal note, a featured home listing, and links to three of your latest blog posts, then people know what they’re getting each time they receive your newsletter. If they know they can expect high-quality content every time, they’re more likely to stick with you and keep reading! You might decide to start every newsletter with a more personal intro that’s a few paragraphs long and includes a photo. Maybe you decide this will always be a laid-back spotlight on a local restaurant you’ve visited lately. Then maybe the next section of the newsletter is always a couple of links to your latest blog posts, and then the last section can be a feature on your latest home listing. This helps you share a variety of content without having to reinvent the wheel each time! In addition to following lots of real estate agents on social media, I also have fun following lifestyle and fashion bloggers and Instagrammers. Lately, I’ve been seeing more and more conversations happening around the ideas of influencers needing to get more personal and behind-the-scenes with their audiences. We all love pretty pictures, but people are getting bored with that overly produced, polished perfection that’s so common with the most popular of Instagrammers. People are craving realness, connection, the nitty-gritty of the day-to-day, and reassurance that these people are also just like them—real people. Now, translate this to anything content-related in real estate. Newsletters are especially perfect for this—you can send out a more personal note to people who have subscribed to your newsletter (aka they WANT to be receiving something from you!). You don’t have to splash your life and personal details all over the internet, but people might like hearing about the fun neighborhood garage sale you participated in, or why you loved the new Broadway show that’s in town. (Add in a couple of photos to personalize it even more!) You can choose to write something that’s still relate to your personal brand and real estate job while still finding points of personal connection. 3. Upgrade your newsletter design. If you haven’t updated the design of your newsletter in the past couple of years, it’s probably time for a new look. Just like websites and logos, newsletter design goes out of date too, and I’ve seen a lot of newsletters that could use some TLC. This doesn’t have to be complicated—when in doubt, go with something simple! Choose one or two colors that match your branding, have a simple header, and don’t get too carried away with fancy borders or graphics. Test your design out on both desktop and mobile, too, keeping in mind that people will be reading your newsletter on both. Not only is Canva a great resource for designing your own graphics, but there are some beautifully simple and modern newsletter templates that you can customize, too. I recommend checking out their email newsletter templates to help you get inspired! I follow a lot of real estate agents on Facebook, and recently there was a day when I saw five agents post the SAME link to the SAME newsletter that they had just sent out. The only thing that was different about each of these newsletters was the fact that the agent photo had been swapped out for each different newsletter. Other than that, it was the same canned newsletter template. Granted, given the nature of my job, I follow an inordinate amount of real estate agents on social media. But even then, it was kind of surprising to see the exact same content posted this many times. The newsletter was beautiful, but even the most beautiful newsletters don’t feel great when you know it’s just a “copy/paste” that another agent is using, though. Imagine you’re a potential buyer or seller trying to decide between two agents from the same brokerage in your neighborhood. What sets one apart from the other? If you’re just sending out a canned newsletter that hundreds of other agents are sending out, you’re leaving a big opportunity on the table! I’ve put together a list of 11 ideas of what you can include in your newsletters instead of the copy/paste content from your brand or brokerage so you can start to stand out from the herd. Now, I definitely don’t recommend tackling ALL of these ideas in the same newsletter—but interspersing one or two of these ideas along with your latest listing and maybe a neighborhood spotlight or market update can really help to personalize what can otherwise feel a bit boring and sterile. 1. Share a closer look at somewhere new you’ve recently visited. Try out a new restaurant in town, or visit the new holiday light display? Talk about it! This is a fun, lighthearted way to show off your community and share your own perspective on something. What made the experience special? What do people need to know about visiting? Be sure to take a picture that you can share, too! And remember, this doesn’t need to be long—even just a paragraph is great. 2. Share a little-known fact or “secret” about your city. This could become a fun staple of every newsletter you send, and something that people will probably even look forward to reading. And if you’ve lived in the community you’ve worked in for a long time, then you probably know some great “secrets.” Maybe it’s some fun local history, or a speakeasy that only long-time residents know about. This is content you can easily prepare far in advance, too. 3. Talk about your community’s hot topics. What’s the talk of the town right now? Is there a new development that people are wondering about, or a new law that’s going to affect your neighbors in a big way? Talk about it! Share information, share your perspective, and ask for others to email you with their questions or concerns to get a conversation started. Are you a connoisseur of content? If you’re always reading interesting articles and watching entertaining Youtube videos, link to a few of your most recent favorites. Add a short note about why you liked it. You could choose a fun theme for each newsletter, or stick with just local content. What are resources that your city offers that people may not know about? Are there special transportation services for the elderly, free museum days, or fun volunteer opportunities? 6. A movie, TV show, or book you’re recently into. Did you just finish a book that blew you away? This doesn’t need to turn into a book report, but sharing what you got out of the book and why you recommend it can be a fun way for your clients and prospective clients to get to know you better. 7. Something funny or embarrassing. We all love a good laugh, and showing your sense of humor is something that doesn’t happen enough in real estate. Just make sure to choose your stories wisely… you don’t want this to backfire! 8. Share your latest home listing & WHY it’s so special. Of course, this is a real estate newsletter, so highlighting your latest listing (or your latest buyer experience!) is probably a top priority. Include all of the necessary info people need about your listing, but this is also a great opportunity to add some personality to your marketing. WHY is this home so special? What do you personally love about the house or its location? Add a few bullet points about why people should click and check it out. 9. Add your own “so what” to market updates. Ah, the infamous market update newsletter… some agents only send out newsletters when there’s a market update to share. These types of newsletters are usually pretty boring and feel very impersonal, but they totally don’t have to be. Your average person is not going to be able to decipher what all of those numbers mean, so putting together a list of simple takeaways and what it all means for buyers and sellers is a great start to helping your readers make sense of it all. 10. Links to your own content. A newsletter is the *perfect* opportunity to re-share some of your content! If you send out a monthly newsletter, you might include links to the blog posts you published in the past month. Or you might revisit an older Q&A video you have on youtube that’s still relevant. 11. Share an epiphany you’ve had recently, or something you’ve been thinking about a lot. This is a great opportunity for you to get more personal with your audience and give them a chance to get to know you better. What’s been on your mind lately? Has your mind been changed about something recently? What’s a common issue you’re seeing in your local real estate market lately? There’s so many directions you can take this in, and whichever topic you choose to share your thoughts on, do so with the goal of making a connection with someone and helping them to like, know, and trust you. With all of these ideas, of course you don’t want to be so “off topic” that you look like you’re off your rocker, but adding a personal touch to a newsletter will make you stand out from the herd. If you’re looking for more ways to improve your real estate newsletter, check out these 3 ways to give your newsletter a refresh! A blog post takes resources and time to create, and it's truly an investment in your business. And the awesome thing is that depending on the type of post, a blog post can "work" for you for YEARS to come. But this is only if you truly make the most of a blog post. Below, you’ll find 11 ways to get the most mileage out of that initial investment. Don't let your blog posts go to waste! Each time you publish a blog post, you should be sharing it on all of your social media accounts, including platforms like Facebook, Twitter, Instagram, LinkedIn, Pinterest, etc. Create a "publishing" check list, and in addition to including things like proofreading and double-checking that links work, include the social platforms you need to share your post on. This is one example of a graphic that was posted to Instagram to promote a blog post. Click here to see more examples! 2. Create graphics to represent the blog post and share on Instagram (and maybe Pinterest). After reading #1, you might be wondering how you're supposed to share a blog post on Instagram and Pinterest. Create a simple graphic that represents the blog post to share—something that will get people curious and encourage them to want to read more. Canva and PicMonkey are both free services that offer simple design tools. If your website platform allows for it, give your readers a way to easily “share” your blog posts right from the posts themselves. “Share” buttons at the top and bottom of the page are popular ways to do this, and they allow readers to post directly to Facebook, Pinterest, Twitter and more. 4. Include links to your blog posts in email newsletters. If you aren't sending out newsletters, you should be! (And not the ones with canned content from your brokerage!) My favorite email service is MailChimp, but there are lots of options out there. I recommend sending out a newsletter at least once a month. 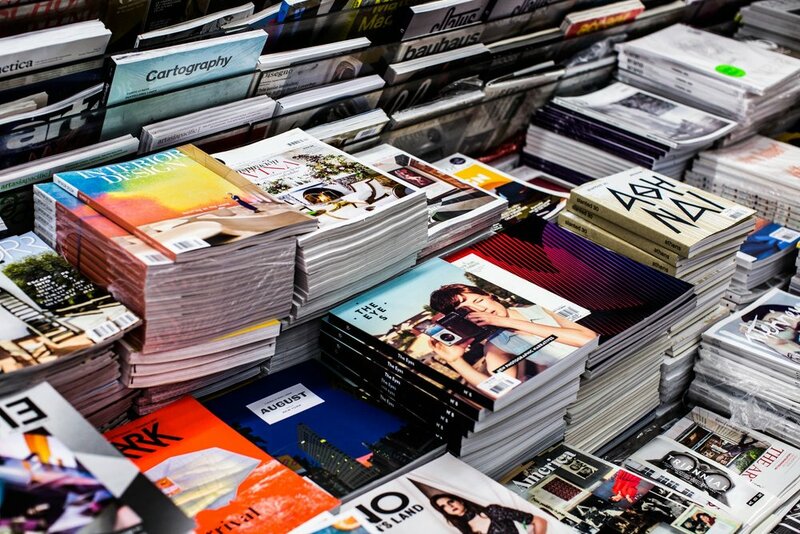 Your newsletter can highlight a few pieces of content you published since the last time you sent a newsletter. 5. Reference older blog posts in your new posts. Linking back to old blog posts to give context and additional information is a great way to avoid having to rehash information you’ve already shared. It also keeps people reading and exploring your website. Some blog posts are only meant to be relevant for a short amount of time, while others will be valuable for years to come. For these “evergreen” posts, be sure to share them again, although not right away—wait a few months, or even a year. If they still contain useful content, you’ll want to be sure people have another chance to view them. 7. Update old posts with new information. Sometimes all a blog post needs is a little refresh. Don’t delete a post and start over—take advantage of any SEO traction a blog post may already have and simply update it to include new, relevant information. 8. Make sure your blog is SEO friendly. There are all kinds of SEO (search engine optimization) tools and strategies out there, but focusing on creating rich content that incorporates a few keywords and phrases is a solid place to start! For example, if you're writing a post on the best happy hours in your neighborhood, you'll definitely want to include the name of the city and neighborhood in your post (and definitely in the title), as well as phrases people might search for. Think about what you would Google if you were looking for a great happy hour—probably something specific like "the best happy hours in Seattle" or "happy hours in Capitol Hill." 9. Include a call to action. After someone is done reading your blog post, what are they supposed to do next? A call to action can be many things—maybe you prompt someone to contact you, or maybe you share other relevant blog posts they may like to keep them on your site exploring. Whatever you do, don’t leave a reader hanging! 10. Notify anyone who is featured in the blog post that they've been included. Whether you've put together a holiday gift guide, a post that features quotes from locals, or a list of top cafes in your town, you'll want to be sure and notify each person and/or business that they've been featured in the post. This could mean tagging them in the original Facebook post, sending them a personal email letting them know, tweeting the article and tagging them on Twitter, etc. Not only will they probably be excited to be featured, but they might even share your post with their audiences, getting your post even more exposure! 11. Share the post in a thoughtful way with people who might be interested. Comment on your own Facebook post and tag people who might be interested. For example, maybe your blog post is about new restaurants in Columbia City, and you just helped your clients buy a house there. Tag them in the comments and say they might be interested. Share your blog post on Facebook with the person who inspired it, and thank them for letting you borrow their idea. 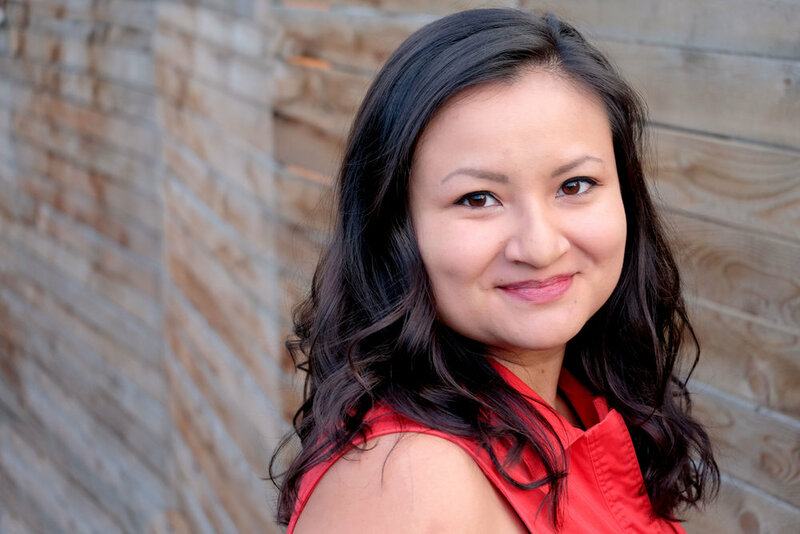 Alyssa W. Christensen is the owner and managing editor of Home Scribe Creative. If you have any questions, she’s happy to chat! Get in touch with Alyssa here. I get why brokerages do this. It can be hard to know what to post sometimes, and wishing someone a “happy birthday” seems like a pretty low-risk, cheerful social media post. This is just one example of a way to make those “Happy birthday” posts more interesting. Use birthday posts as an opportunity to showcase the birthday agent’s local expertise. There are so many different ways to do this! One example is to put together a social media post that highlights an agent’s favorite things about the neighborhood or city they work in. I used myself in the example on the left. 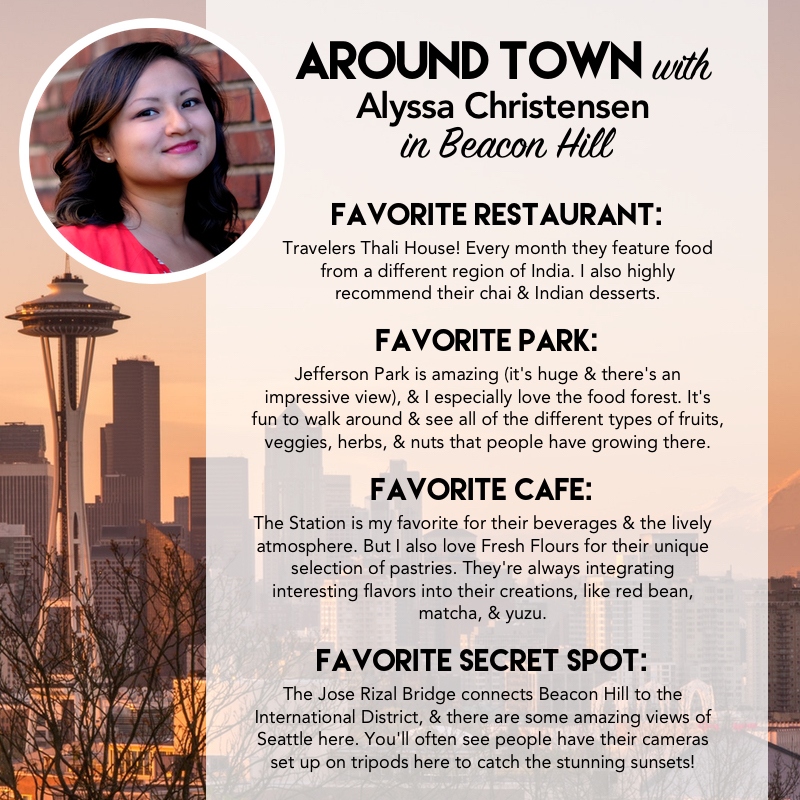 You could post this graphic on Facebook and Instagram (the one downside is that is has too much text to boost), and link to a blog post that expounds on the “neighborhood favorites” a bit more. 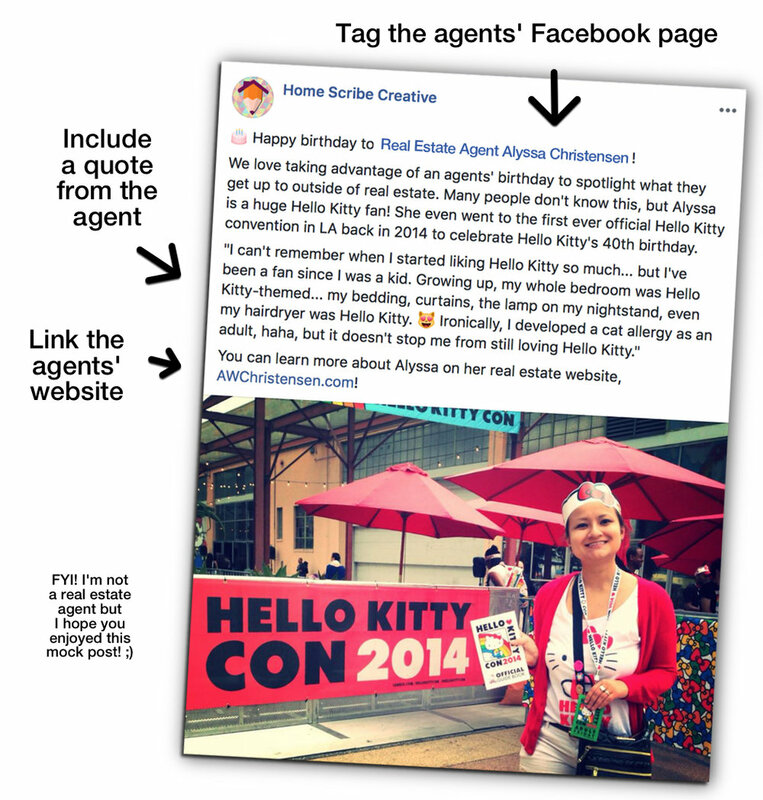 And of course, wish the agent happy birthday in the main post, and tag the agents’ Facebook business page, Instagram account, etc. in the post as well. You should also tag any businesses or other relevant pages in the post. Share fun facts about an agent. Make it silly and interesting! Put together a fun list of personal tidbits that could be entertaining and offer an opportunity for people to connect more with an agent. So often, I feel that what truly makes a real estate agent unique can get a bit lost in their professional bio and headshot. And people love Q&As—they’re easy to skim! You might include things with a real estate theme and ask agents to share their their funniest or most awkward home tour story, or maybe their favorite HGTV show. Or maybe you can do an entertainment Q&A and share favorite movies, bands, actors, TV shows, etc. There are so many fun ways to do this, and not every idea will suit every brokerage’s “vibe.” Choose something that works with your brand and overall marketing strategy… just make sure it isn’t boring! Take this opportunity to share something that the agent does in their personal time, or something that makes them unique. Many agents have an “agent persona”—basically, who we see on their bio page or their website’s “About” page. Who knew that agent with a suit and tie on in their headshot is actually a drag queen on the weekends?! Or what about the agent who plays drums in a band, has traveled to all seven continents, or is an avid Star Wars fan with a whole room in their home devoted to their obsession? All of this is interesting stuff and opportunity to connect with people on a more personal level. You’re creating a gateway for people to learn more about the agent. So be sure to offer people a way to learn more about the agent—along with sharing a photo that shows off the agent enjoying their hobby and some info about it, be sure to tag their social accounts, link their website, and of course, wish them a happy birthday. Have a different theme each year. At the beginning of each year, decide what your “theme” will be. Maybe it’s a neighborhood spotlight, maybe it’s the fun facts theme. Pass out surveys to all of your agents all at once and set a deadline for them to turn in their answers. You can prepare the content for the entire year at once to make it easy! Or, if you have a huge brokerage, it might be easier to do one month at a time for the agents with birthdays the following month. Batch it, baby! One last tip: Make sure the birthday agent checks in on the post a few times to respond to any comments. I hope this post helps get your creative juices flowing. Tag Home Scribe Creative on your birthday posts so I can see what you come up with! 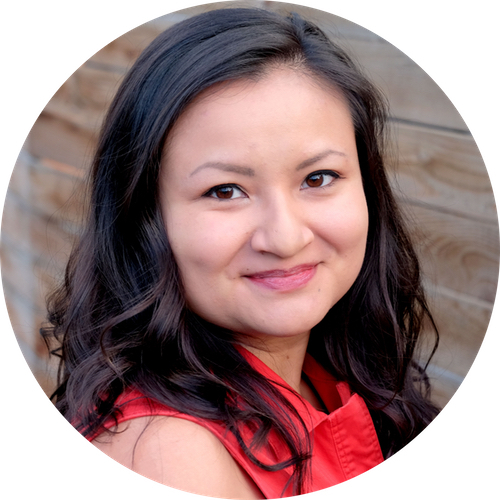 Alyssa W. Christensen is the owner and managing editor of Home Scribe Creative. If you have any questions, she’s happy to chat! Get in touch with Alyssa here. I’ve met so many real estate agents who want to blog or create other types of content (videos, podcasts, Instagram stories, etc. ), but they’re just not sure where to start. One of the biggest hurdles to starting a blog can be deciding what topics to focus on, and for those who have been blogging for awhile now, it can be hard to know where to turn for new ideas. 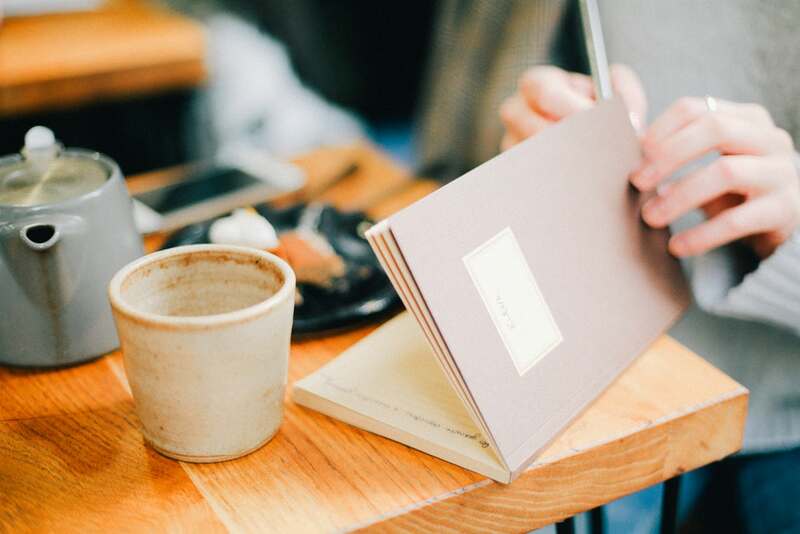 If you need to get your creative juices flowing again, you’ll find 10 brainstorming tips below that are sure to help you get your blog back on track in no time! Brainstorming Tip #1: Have a place to collect all of your ideas. This first tip is key! It might seem pretty basic, but none of this will work unless you can actually remember your brilliant blog post ideas. When it’s time to sit down and finally write, you’ll want all of your ideas easily accessible in one place. Create a note on your phone where you can easily jot down ideas, or get a real notebook (a small one is best!) that you’ll always have with you. And when you get an idea, get in the habit of writing it down ASAP. Brainstorming Tip #2: Write what you know. What are you an expert in? What is your niche? Do you specialize in condos (or would you like to work more with condo buyers/sellers)? Then write about condos. What are some new condo buildings you’re excited about? What are your favorite condo buildings in the city? What condos allow pets? What do people always ask you about condos, or what’s a common issue that’s constantly coming up? Focus on things you already know a lot about to show off your expertise and build trust with potential clients. Brainstorming Tip #3: Write what you don’t know. Writing a blog post can be a great “excuse” to learn about something new. Is there something you’ve been wondering about, or do clients keep asking you the same question, and you’re not sure what the answer is? Make it your mission to find out everything there is to know about the new zoning laws that everyone’s confused about, or find out about that mystery development and be the first one to break the story. You’ll probably have to do a little digging, but being the first to talk about something is a great way to become a valuable resource (and great for SEO, too!). Writing about something you don’t know about also creates an excellent opportunity to reach out to people who you wouldn’t normally have a reason to reach out to. You might be able to interview a city council member, a local business person, or other prominent members of the community who are happy to have the exposure. Brainstorming Tip #4: Write about what you love. If you’re naturally interested in something, you’re much more likely to create quality content about it! When someone is truly interested in the thing they’re talking about, their enthusiasm is contagious, and it makes for a much more engaging experience when you can tell they’re genuinely into the topic at hand. And that’s just the tip of the iceberg! You can show off why Seattle is a great place to live for people who like to spend as much time on the slopes as possible, while at the same time allowing people to “get to know you” and build trust with you before they reach out to hire you as their real estate agent. Brainstorming Tip #5: What are your favorite things about your city? If you had someone visiting your city for the first time, what would you want them to see? What are your favorite hangouts, and what are the tourist sites that are worth visiting? This is a content goldmine! These can easily become blog posts, but this would also make a great video tour, too. Brainstorming Tip #6: What other agents and brokerages writing about? Check out a few other brokerage and agent websites and make note of the types of content that they’re publishing. Of course, this isn’t so you can copy them—it’s so you can see where you might be able to fill in the gaps, and also so you can make sure that your content is unique from what they’re publishing. Don’t do what everyone else is doing! See what agents in your city and what agents in other cities and states are blogging about can be inspiring for your own content calendar. Brainstorming Tip #7: What are local publications writing about? This is similar to #6, except this time you’re going to take a look at local magazines and websites to see what the hot topics are. And once you’ve covered all of those, take a dive back into the archives and read headlines. Again, this isn’t so you can copy them—use this as a jumping off point and to inspire your own ideas. Brainstorming Tip #8: What are people around you talking about? What types of recommendations are people asking for on Facebook? What’s the latest restaurant or business in town that everyone’s excited about? What city developments or closures are stressing people out? Keep your ear to the ground. Brainstorming Tip #9: Ask questions. Post on Facebook that you’re brainstorming blog post ideas, and ask for your audience’s input. Ask them what they want to know or have been struggling to find. Maybe they’re on a quest for an amazing vegan restaurant, maybe they need ideas for where to take their out-of-town relatives, maybe they’re tired of their gym routine and need a new workout suggestion. Answering these questions all make great blog post ideas. Brainstorming Tip #10: What’s your unique perspective on a current local issue? Maybe it’s interest rates, or maybe it’s the state of the national economy and how it is directly affecting your city. Whatever the topic might be, avoid rehashing information that’s already out there and provide your own unique perspective. The “opinion” category of content is probably the scariest type of content for most people. It can be intimidating to put your opinion out there—what if you’re wrong, or what if people disagree with you and then don’t want to work with you? These things might happen, but sharing your opinion and unique perspective will set you apart from the herd. Share the facts behind your perspective, ask questions, and invite others to share their own thoughts and opinions. 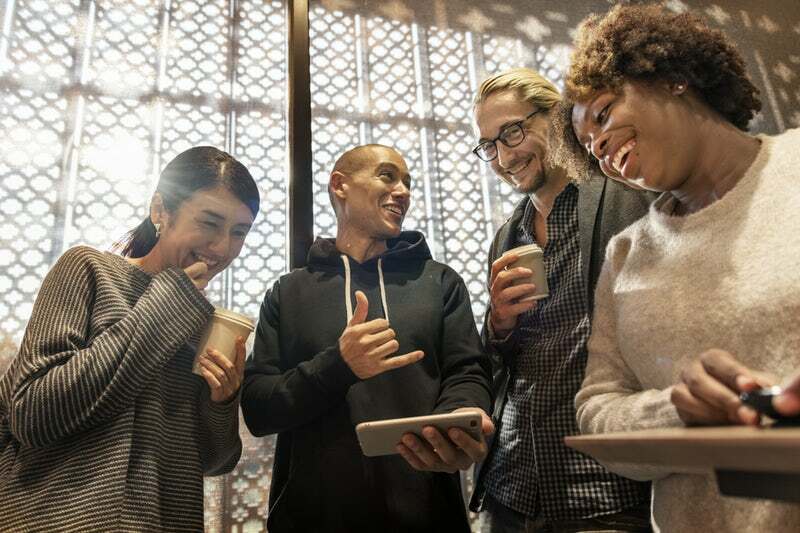 It’s all about stimulating conversation, making connections, and building trust with your audience! If your real estate brokerage has a content marketing strategy (and even better, if they’re implementing a community-focused content marketing strategy! ), then that is seriously awesome! Of course, as you can probably guess, my recommendation is to create your own original content that lives on your own website. But I know that this isn’t in the cards for everyone, and one of the reasons why brokerages create content is so their agents have something share and talk about with their spheres. 1. Make your own contributions whenever possible. Usually when I work on blog posts with a brokerage, we’ll send all of the agents a survey asking questions that help us fill in the answers to each blog post. This is useful because not only are the blog posts then filled with rich local information, but we also directly quote the agents, showing off their local knowledge and linking to the agent websites. (See an example of this here!) It’s a great opportunity for agents to get their name out there, as well as make connections with someone who might read their quote and relate or appreciate the information. The same is true of any other type of content. If your brokerage films video spotlights on neighborhoods or asks for any other input on content, volunteer when it makes sense! 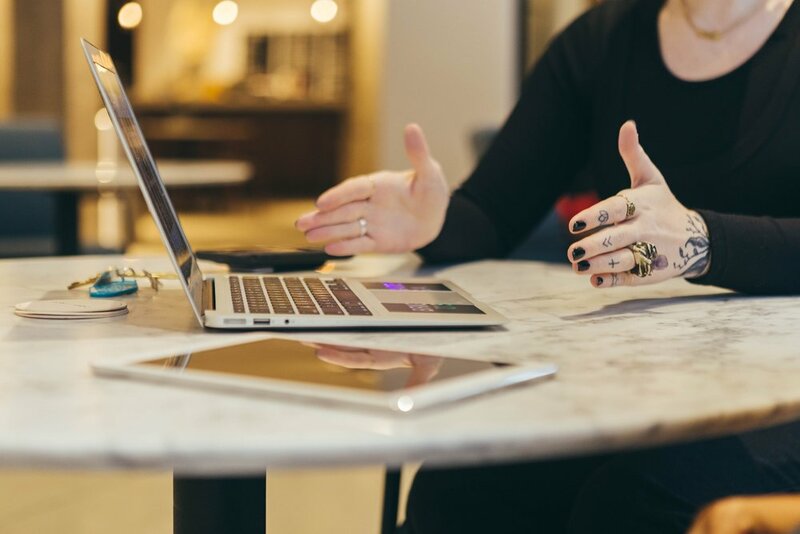 It usually won’t take much effort to pitch in, but you can reap the rewards of being featured in a piece of content your brokerage is putting resources into creating and promoting. 2. Share the content on social media platforms you’re active on. If your brokerage creates a piece of content that you love (and especially if you’re featured/quoted in it! ), be sure to share it with your audience! A lot of the time I heard from real estate agents who aren’t sure what to share on their Facebook business pages, but this is the *perfect* opportunity to show off something special about your community while also sharing something that you contributed to. When you share the blog post, be sure to add a thoughtful comment before sharing. (Don’t just hit “share” and leave it blank!) People should know WHY this post is relevant and why you’re sharing it. Let’s say you’re sharing a blog post that your brokerage created about the best brunches in town. Here, you’re teasing the blog post a bit by not revealing exactly what place you recommended; people still have to click to find out. You’re also encouraging people to comment with their opinion, so hopefully you can have some friendly conversation on your Facebook page. You can also easily share Instagram posts, too—download the Repost app on your phone to make it easy. Just remember that the only clickable place on Instagram is in your Instagram bio, so be sure to include a link to the blog post you’re promoting in your bio. You can also share the Instagram post in your stories! 3. Include links to the content in your newsletters. It can be hard to come up with content for your newsletter if you don’t blog on your own, but content from your brokerage is great to highlight in your newsletter. Include a few words about why people might find the blog post special, and be sure to mention that your tips are included in the post. A fantastic example of a real estate brokerage that consistently creates and puts out high-quality community-focused content is Windermere Professional Partners in Pierce County, WA. Full transparency here: I happen to write for these wonderful folks, so I may be a bit biased, but I think you’ll find their website and the dynamic content that fills it to be endlessly inspiring. They create SO MUCH rich, informative, local, and useful content that shows off their community and their agents’ expert knowledge. Take some time to explore their website to see what it’s all about! If you would like to learn more about community-focused marketing, I created an e-course all about it with Marguerite Martin, real estate agent and creator of MovetoTacoma.com. Click here to learn more about Mastering the Art of Community Marketing! In my experience, one of the most challenging parts of putting together a blog post for my real estate clients is finding photos to use. When you publish a blog post, you’ll always want at least a featured image. Most website layouts have the featured image representing the blog post in various formats, and it usually displays prominently within the blog post itself as well. This is also the image that Facebook, Twitter, and other platforms will “grab” and feature when you share the link to your blog post. There’s a lot to be said about finding the right photo(s) to use with your blog post, but here, I’m going to delve into a few great places to find featured images for your blog posts. 1. Take your own original photos. This one is the most obvious, so I’m going to get this one out of the way first! Using your own unique photos is always the BEST choice if you have this option available to you. If you have a phone that takes decent photos (even an iPhone can do wonders—see examples of photos taken with the iPhone 6 here! ), use it to your advantage. If you have your own DSLR, even better! 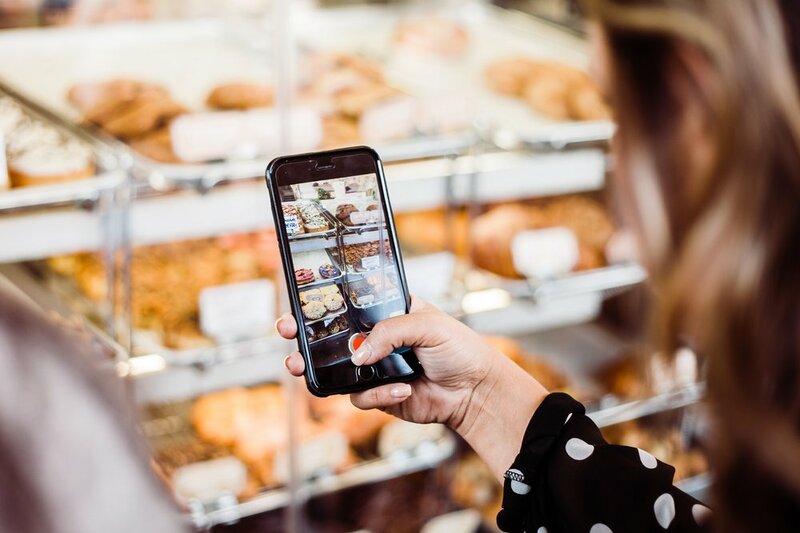 Whether you plan to blog about your local community or home inspections, you’ll want to get in the habit of snapping a few photos whenever the right moment presents itself. Getting breakfast at your favorite restaurant? Take a few photos of your meal, a photo of the outside of the building, and a fun selfie of you with a cup of coffee. When you go to blog about your favorite breakfast spots, you’ll be so glad you have these photos stored and ready to go! 2. Hire a professional photographer. Getting high-quality, original photos can really take the overall quality of your website and blog up a few notches. One great way to do this is to plan ahead. Let’s say you’re working on a 12-month content strategy with 5 blog posts per month. Typically what I’ll do for my clients who have their own photographers is I’ll make an outline of all 5 blog posts for the upcoming month, make a list of key components of each blog post, and give that list to a photographer. The photographer can spend a few hours (or even a day, depending how long your list is!) taking photos of everything on the list. Voilà! You have all of the photos you need for the next month of content. 3. Use searchable libraries with free high-res photos. A few of my favorite photo resources include Unsplash, PicJumbo, and Pexels. (There are SO many out there now—a Google search for “free stock photos” will have you swimming in results!) Many of these libraries explicitly state on their websites that their photos are FREE and available for any type of use. You are encouraged to give the photographer credit, but you’re definitely not required to. While there are a lot of free stock images out there, you might not be able to find quite the image you’re looking for. Or maybe you’ve found the perfect picture that’s free, but you’ve seen it used too many times already. This might be a could time to invest in some paid stock photography. 5. Embed photos from Flickr. If you’re searching for something more local or you can’t find what you need on one of the larger sites, Flickr is another great option. However, you should be a bit more careful with Flickr, since each photo has a different license setting when you initially search for something. In the image to the left here, I’ve searched for “Seattle” and several results have popped up. Now, you’ll want to click on the little arrow to the right of “Any license” to select the type of license you’d like to search by, depending what your needs are. I’ve also circled a little arrow on the right. Click this to find the “embed” option. This makes it easy to embed the photo in your blog post, and doing so will automatically grab attribution information and make it obvious where the photo came from (Flickr!). Including Instagram posts within your blog post is a great way to show a true local perspective. You can easily do this by embedding an Instagram post from public accounts. Find the photos you’re looking for by searching for a relevant location, hashtag, or by finding the particular business/org/person/etc. on Instagram. Embedding an Instagram photo in your blog post is easy to do: in the screenshot on the left, you’ll see 3 dots in the righthand corner. Click on this, and you’ll be presented with a few options in a white pop-up. Select “Embed” to copy the code and embed the Instagram post directly in your blog post. The downside of this is that the person or account with the photo you’re featuring may one day make their account private, or delete the photo or the account. This will leave you with a blank photo in your blog post. It’s worth it to go through some of your more evergreen blog posts once a year or so and make any necessary updates (like replacing deleted photos!). Embedding Facebook photos in your blog post is the same concept as embedding Instagram photos. To keep things looking more uniform in your blog post, you might choose to use only Facebook photos or only Instagram photos. However, it can be helpful to mix it up if, for example, you can’t find photos on Instagram of a business that you want to feature. If that’s the case, you might try looking on Facebook and find that they have more of a presence there. To embed a Facebook photo, click on the photo you’d want to use, and in the bottom righthand corner of the photo you’ll see “Options.” Click on this, and you’ll be presented with a pop-up. Select “embed” to get the embed code for the photo. Important Note: Just because a photo is on the internet does not make it free and available for you to use on your blog. Do not do a Google search and just grab images you find! Luckily, free photo websites have expanded greatly in recent years, meaning there are plenty of legal options for you out there. If you DO accidentally use a photo that you don’t have permission to use and someone calls you out on it, just apologize, give the photographer a compliment, and take down the image immediately. On November 10, 2016, Marguerite Giguere and Anne Jones hosted Genuine Hustle, a "gathering of community-minded agents" in Tacoma, Washington. Real estate agents came from all over the country (and even Canada!) to take part in the conference, a day packed with incredible speakers (see the complete list here!) and intensive breakout sessions the next day. This was the first real estate conference I had ever been to, and I also happened to be a speaker on a panel about content marketing and one of the sponsors—big thanks to Anne and Marguerite for giving me and Home Scribe Creative this opportunity! But before I get too much into the conference itself, as we all know, just a couple of nights before on November 8th, America elected our next president. It was an incredibly stressful day and night for me, and after the results of the election were in, I found myself in a state of shock, sadness, disappointment, and disbelief. I wasn't sure how I was going to have the focus and energy to participate in Genuine Hustle over the next few days, and I had to be up early the next morning to start preparing and meeting people in Tacoma the day before the conference. Who would have known that this was actually *PERFECT* timing for Genuine Hustle?! This gathering of community-minded real estate agents was uplifting, inspiring, and restorative. What an amazing group of people who truly care about the well-being of their communities and this country. In a time when I was feeling vulnerable as an American citizen, these people showed me sincere kindness and a feeling of safety, unity, and love. What exactly was so special about Genuine Hustle? And what does it mean to be a "community-focused" real estate agent? being there long before someone even knows that they (or maybe their friend or family member) need you as a real estate agent. It's about highlighting community members, local businesses, events, and important issues in your neighborhood through blog posts, videos, podcasts, social media posts, etc. It’s important to keep in mind that it won't work overnight, it’s an investment, and it needs to be treated like a priority in order for it to work. It's not easy, but as Marguerite Giguere says—"It's a long game, but it's the good game." So true, Michael Thorne and Jaclyn Ruckle! Throughout the day of the conference, we heard from a variety of speakers, each with their own unique take on building community as real estate agents. Michael Thorne presented on how to use video to become the "digital mayor" of your community; Amy Curtis had a post-election-fueled discussion with Marguerite Giguere on being authentic; Stacie Staub talked about how to build relationships through community events; Seth Price shared an amazing presentation on branding; Katie Lance talked about email marketing, and every single speaker that day shared a captivating presentation with real, actionable, useful information. And then of course, there was the content marketing panel that I was on, led by the content marketing-expert Chavi Hohm of Team Diva Real Estate. I was also on the panel with Sharon Steele of The View From My Porch and Garret Hunt and Tyler Chism of LiveinEverett.com, all real estate agents who are delivering valuable community-focused content to their audiences in different ways. The day ended with a talk from Nate Bowling, Washington State's 2016 Teacher of the Year. Nate's talk was titled "Intersecting Paths: The Tangled Knot of Race, Class, Education and Real Estate," and it was probably my favorite part of the day. You can watch the entire talk below (and if you want to check out any of the other talks form the day, follow Genuine Hustle on Facebook!). The day after the event, people who wanted to stay could gather for breakout sessions on specific topics. This was a chance for people to dive in deeper on whatever interested them most—video marketing, social media, race in real estate, etc. I have pages and pages of notes from the event, but this blog post is already long, so I'll be sharing those later! For now, I just want to say thank you to Anne Jones and Marguerite Giguere for planning and hosting this incredible event, and thank you to everyone else who made this once-in-a-lifetime event possible! Sign up for real estate writing tips delivered directly to your inbox! We respect your privacy and will never share your information. You can also unsubscribe at any time.